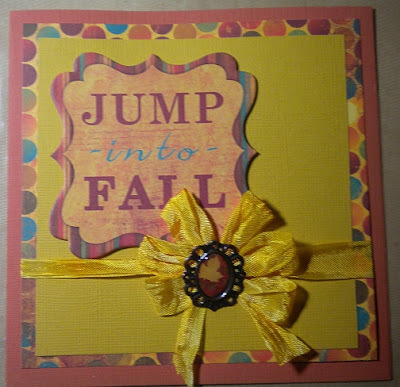 Shelley Bean: Jump into Fall! I decided this time to keep it simple and let the fun products at scrapalicious do all the work for me. I used the adorable Bo Bunny Paper Forever Fall as well as the Forever Fall chipboard embellishments and Forever Fall Trinkets. I added a little seam binding that I tinted with some Tim Holtz distress inks.